Founded by Portuguese settlers from the island of Madeira, Lubango is the capital city of Huila province in the south-eastern region of Angola. Nestled in a tropical valley with wild, natural landscapes, this city encompasses elements of its colonial heritage with recent modern developments. 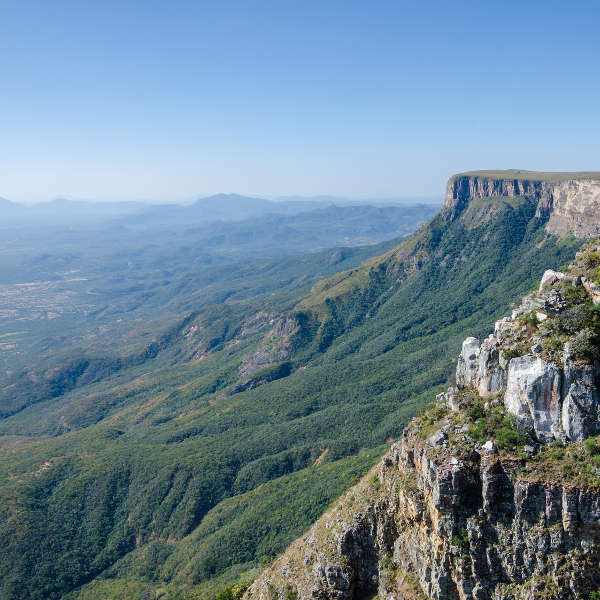 Popular attractions include the statue of Cristo Rei, Serra da Leba and the Tundala Fissures. Cheap flights to Lubango are now available for a limited time only, so book your flight today and be absorbed by the tropical landscapes and European impressions of this city! Lubango is home to Lubango Mukanka Airport (SDD), situated 10 minutes from the city centre and is easily accessible by car. Be absorbed by the lush rainforests of the rolling hills enveloping the city. Take a drive along the winding Lebu mountain pass or hike up to the Tundala Fissures to marvel at the beautiful landscapes below. Take a walk through the streets and you’ll see the Portuguese heritage still prevalent in many old, colourful buildings dotted around the city. One of only four in the world, the marble statue of Cristo Rei towers majestically above the city, while St. Joseph’s Cathedral pays homage to its original Portuguese design. 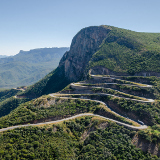 Lubango experiences a sub-tropical dry climate, making the ideal time to travel between May and September when temperatures are cool and pleasant, and there is no chance of heavy rainfall. If you’d like to catch the locals in action, the Lubango Festival, running for the entire month of August, features local music performances, fashion parades, sports events and the prominent Miss Huila beauty pageant. 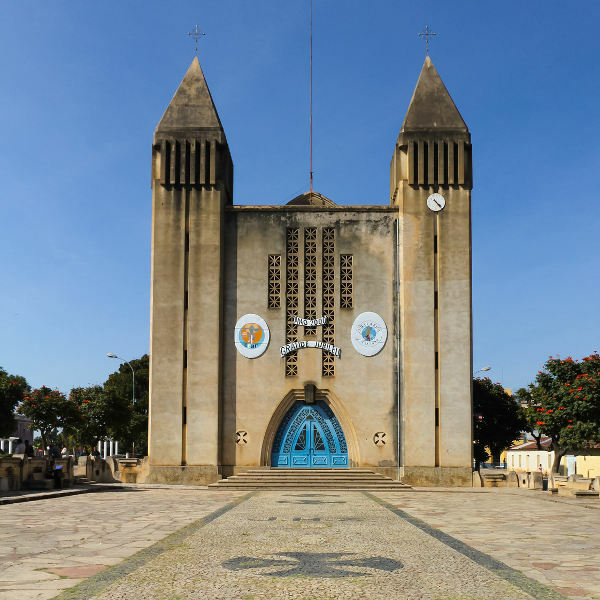 Previously known as Sá da Bandeira, Lubango is the capital city of the Huila province in Angola. 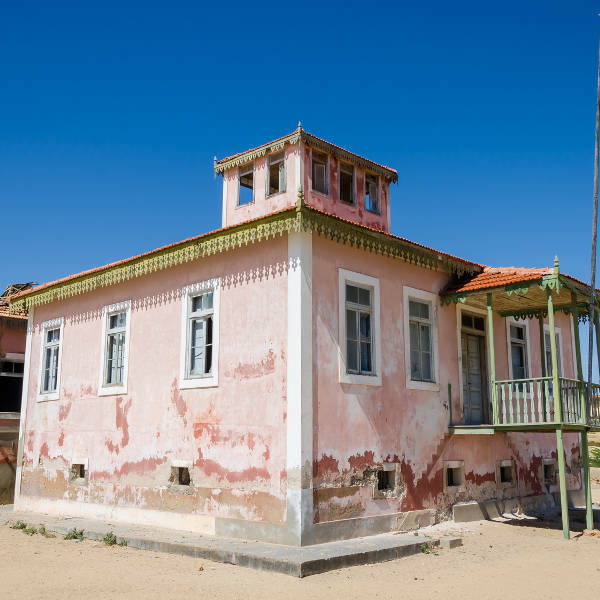 Tucked away in a tropical valley, Lubango is traditional in its surroundings and customs, while modern developments have added to the appeal of the city in recent years. 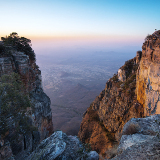 The city in Angola’s south-west region is surrounded by mountains up to 2200 metres high. 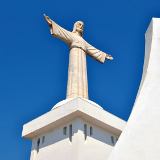 Keep a lookout for ‘Cristo Rei’, Lubango’s landmark statue with a fantastic view of the Huila province. Take in the fresh air along a leisurely hike up to Tundavala for the best panoramic views on display. To escape the heat, you can cool off at the waterfalls hidden between the rock formations of Tundavala. The Bicuar National Park is the closest park to Lubango and a wide variety of wildlife can be spotted there. If you’re up for some city spending, Millennium Shopping Plaza is home to many shops, restaurants, the Olympia Casino and a cinema. Compare several airlines, and book your cheap flights to Lubango online at Travelstart. Lubango is no different to any other city in the heart of Africa and general caution and vigilance should be practised. Robberies and muggings have been known to occur, particularly at entry and exit points around the city. Tourists should dress modestly and not flash any jewellery or expensive equipment that might attract unwanted attention. Avoid walking around at night; rather arrange a shuttle service from your hotel. Door-to-door taxis are not easily available and are expensive, so if you are staying for a few days, it is recommended you hire a car with a driver. Due to a history of civil warfare in Angola, the city is scattered with remaining landmines. To avoid possible contact with hazardous areas, stick to main roads and avoid travelling along unclearly sign-posted paths. The only required vaccination to Lubango is Yellow Fever. It is recommended to be vaccinated against Typhoid and to take anti-Malaria medication. Be cautious of eating uncooked food, especially meat and vegetables. Tap water is untreated, so stick to bottled mineral water. Being one of the less popular cities in Angola, Lubango’s tourism has been slow to flourish. As a result, there is not a wide variety of accommodation options. Nonetheless, most of the lodging options offer superb views and comfort, where you’ll find yourself nestled in the lush valley, surrounded by Mother Nature. Most accommodation is to be found in the city centre. You can find mid-range to more luxurious selections, with most hotels offering free breakfast. You’ll be welcomed with open arms by the locals who will happily go out of their way to assist you. There are some great coffee shops and nightclubs to explore when you’re done shopping at the local markets. Note that credit cards are not accepted at all hotels and restaurants, but most places do accept US Dollars. For a standard room with hot showers and basic amenities, you can expect to pay around $100 per night. Lubango is serviced by shared taxis within the city. Another option is to hire personal taxis marked "Particular". Walking around town is also a good way to explore Lubango. Bus services are available from Lubito and “SGO” – the more comfortable option.